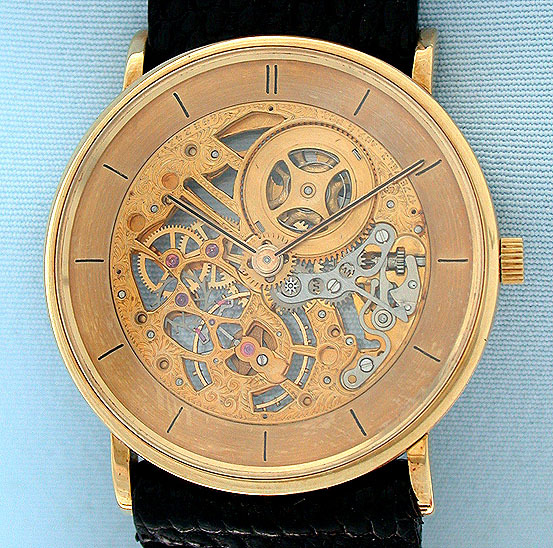 Fine Vacheron & Constantin 18K gold skeletionized and engraved vintage wrist watch circa 1969. 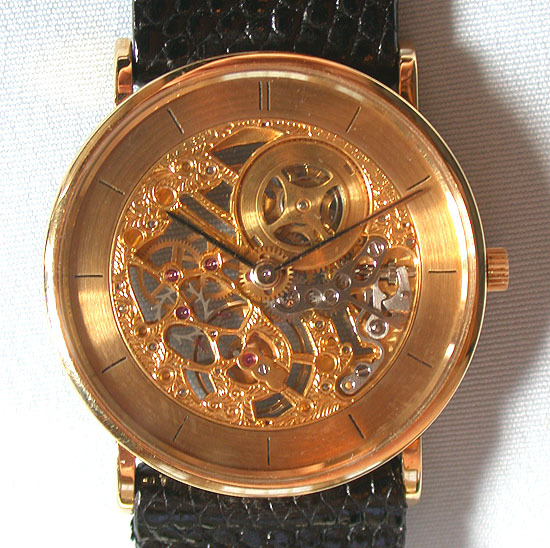 Slim with downward sloping lugs and crystals front and rear to view the beautiful fully skeletionized and engraved 17 jewel 8 adjustment movement. Gold chapter ring with black markers and gold and black hands. 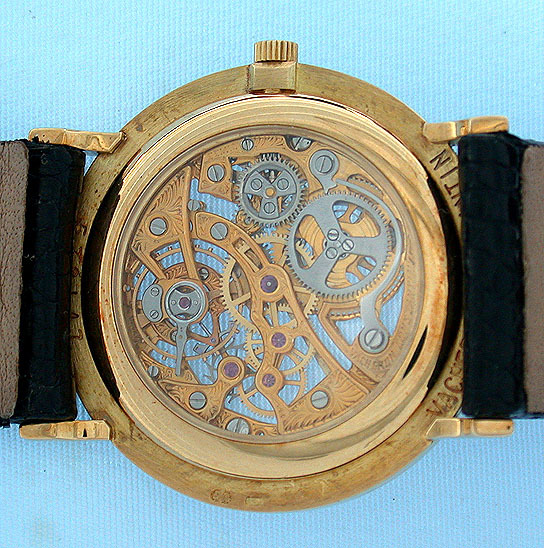 An elegant watch in like new condition.